We’re kinda glad that Ricciardo looks set to stay at Red Bull next year, because it means we’ll get to see more comical videos like this one which displays his wonderful relationship with Verstappen. 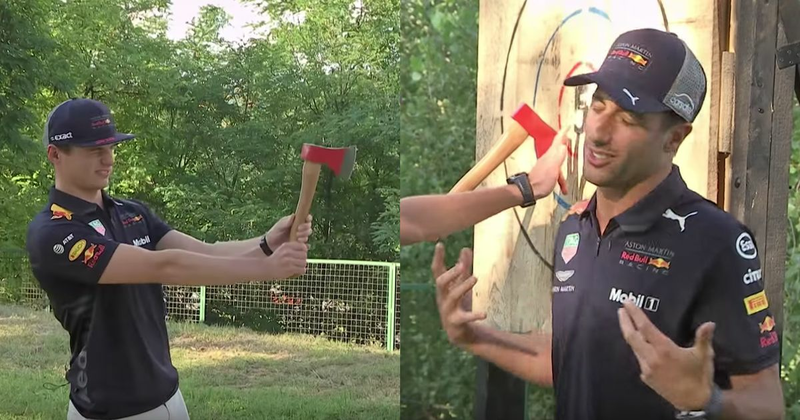 The latest episode in their bromance came in Hungary when Sky F1 put on an axe-throwing contest for the pair. Well, it’s less of a contest, and more just Verstappen getting increasingly frustrated as Ricciardo… well, acts like Ricciardo.